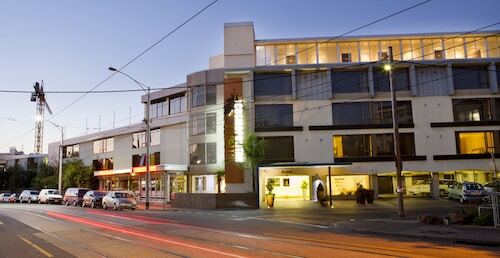 Nestled on the beach, this Brighton hotel is 0.3 mi (0.5 km) from Brighton Beach and 1.7 mi (2.8 km) from Elwood Beach. St. Kilda Beach and Albert Park Lake are also within 6 mi (10 km). Middle Brighton Station is 11 minutes by foot and Brighton Beach Station is 18 minutes. 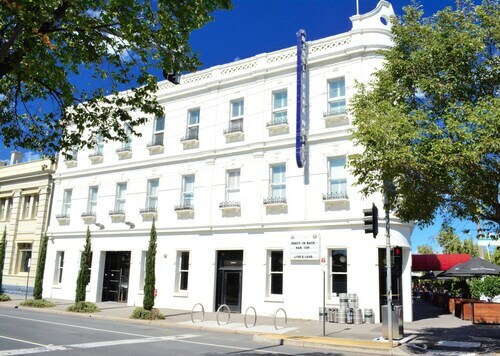 Situated by the ocean, this hotel is within 1 mi (2 km) of South Melbourne Beach, Albert Park Lake, and Fitzroy Street. St. Kilda Beach and St Kilda Pier are also within 2 mi (3 km). 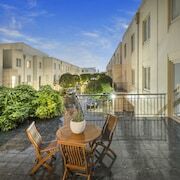 Situated in the entertainment district, this apartment building is within 1 mi (2 km) of CitiPower Centre Junction Oval, St. Kilda Beach, and Luna Park. 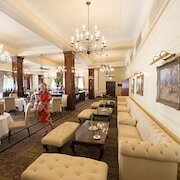 Royal Botanic Gardens and Melbourne Cricket Ground are also within 6 mi (10 km). 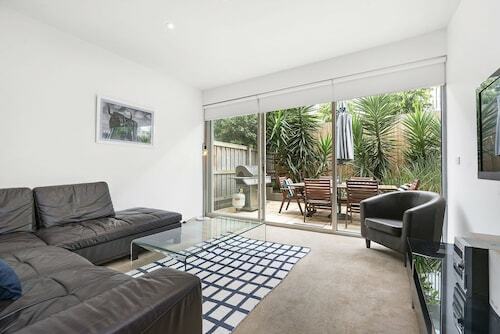 Windsor Station is 18 minutes by foot and Prahran Station is 23 minutes. 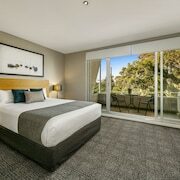 Situated near the airport, this hotel is within 3 mi (5 km) of Royal Melbourne Golf Club, Victoria Golf Club, and Southland Shopping Centre. Half Moon Beach and DFO Moorabbin are also within 6 mi (10 km). 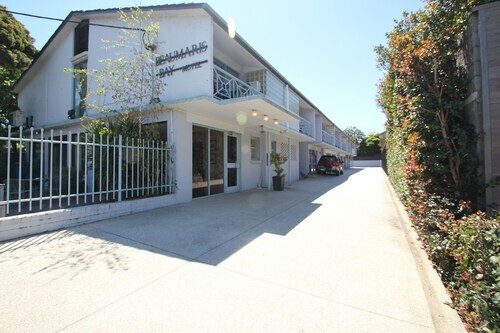 Situated on the waterfront, this luxury aparthotel is 1.3 mi (2.1 km) from Brighton Beach and 1.5 mi (2.4 km) from Elwood Beach. St. Kilda Beach and Luna Park are also within 6 mi (10 km). North Brighton Station is 6 minutes by foot and Gardenvale Station is 17 minutes. 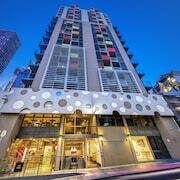 Welcome to nearly every person on Earth’s fantasy holiday, with Wotif’s beach hotels in Melbourne. Sand, sea and sunnies are all you need to get started on your one-person re-enactment of Castaway, only with plenty of food, drink and access to modern conveniences. No homemade raft or volleyball with a face drawn on either. Here, you’ll have all the beach you could ever ask for. 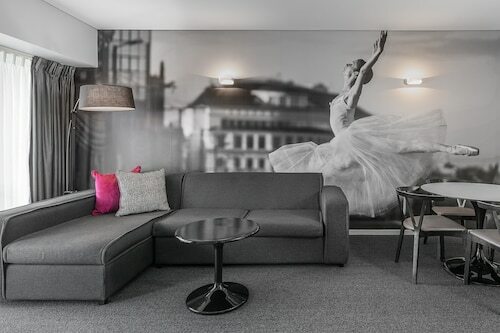 During your stay, you’ll wake up to a view that Facebook cover photos were made for. 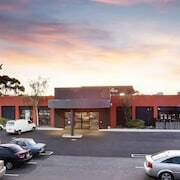 Melbourne beach accommodation runs the gamut from quaint bungalows to resort-style high rise hotels. Whatever you fancy, Wotif saves you time and money with the best deals going. Booking with us is easy through our simple online system. You can imagine happily sipping a cocktail out of a coconut shell one day and the next, you’re splayed on a couple of towels with your mates, having realised a lifelong dream. Well done! Next up, paddle board lessons and a sunset barbie followed by the simple joy of laying in cosy, sand-free sheets while the sound of the ocean lulls you to sleep. 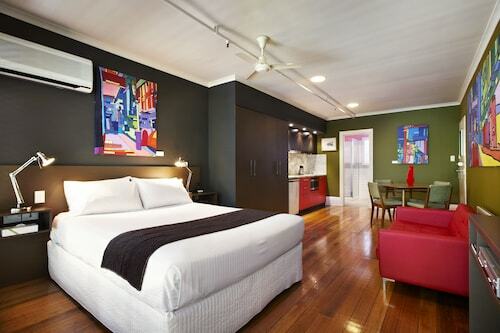 Your beach hotel in Melbourne combines great location with hotel amenities that appeal to holiday-goers out for a fun trip and seamless tans. 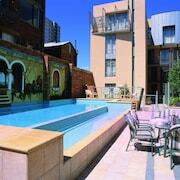 You’ll find the best accommodation for your price point and must-haves with Wotif. There are plenty of options and kilometres of sunny shoreline to choose from.